Think circus - but with much more grace, style and contemporary dance and you would be nearer what to expect from Canadian dance company Cirque Eloize. Inspired by cult classic films of Metropolis and Brazil, 12 performers combine circus arts with gymnastics, music, dance and theatre. They perform everything from 'hand to hand' acrobatics to contortion routines and aerial stunts in the most challenging of circumstances. It's a step away from Cirque Du Soleil but something unique in its own right. The Dance Consortium presents Cirque Eloize at Birmingham Hippodrome after a three year absence to perform the energetic urban show Cirkopolis from March 25 to March 28. Performing within an inventive stage design and accompanied by an original musical score and video projections, the company says it "creates a world where fantasy provokes reality, the veil of anonymity and solitude is lifted and replaced by bursts of colour and imagination". Cirkopolis includes artistic work on a German Wheel. The production is directed by Jeannot Painchaud, who said: "Cirkopolis was imagined as a crossroads – between imagination and reality, between individuality and community, between limits and possibilities. The show is driven by the poetic impulse of life, the physical prowess of the circus and the humour, at once serious and light hearted. Entering *Cirkopolis* is all about letting go and allowing yourself to be borne aloft by hope." One of the performers, who are from around the world, is Samuel Charlton from Newton Harcourt in Leicestershire. 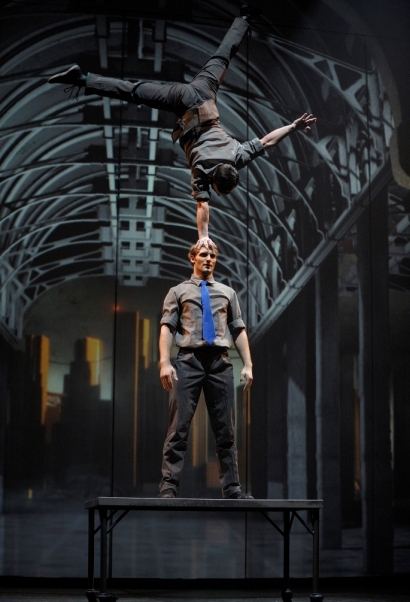 He tells me how he is one of acrobatic base in Cirkopolis - which means he specialises in hand to hand (pictured below). Samuel says: "I work with another English guy Reuben Hosler. Reuben does handstands on my hands and I am the base artist that supports him, he does flips, and I catch him!" 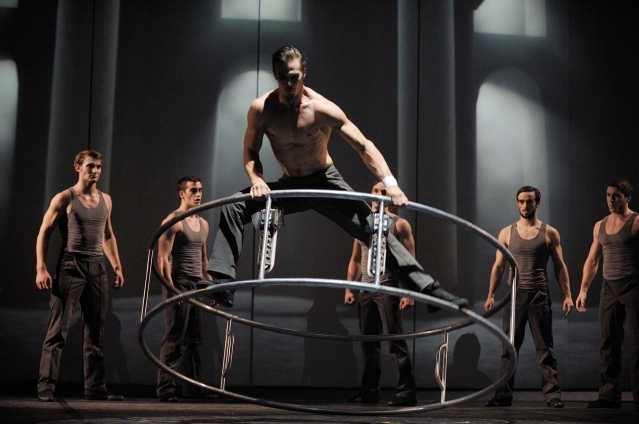 He continues "Cirkopolis is an extremely visual circus show with a heavy contemporary dance influence brought in by co-director and choreographer Dave St-Pierre. Powerful, breathtaking work that will have the audience on the edge of their seats." 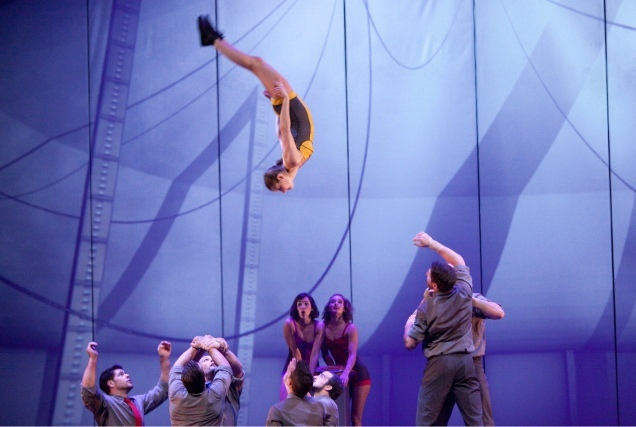 Based in Montreal, Cirque Eloize has been creating thrilling performances since 1993 across 440 cities worldwide, in 40 different countries. Wed-Sat Evenings at 7.30pm; Saturday Matinee at 2.30pm. Tickets cost from £12 to £30 by calling 0844 338 5000 or from the Birmingham Hippodrome website.